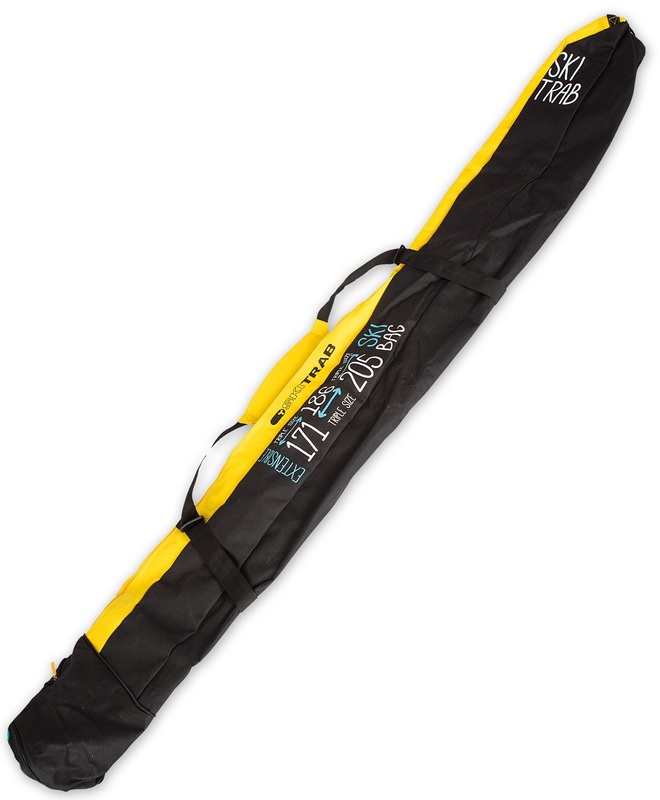 The Attivo ski bag will almost surely fit your skis. Ski Trab made it adjustable for different ski sizes, so you don’t have any sad empty-sack. Using a unique set of spiral zippers, the bag can be 171, 186, or 205cm long. It has a nice shoulder strap for easy toting through an airport, and an end-strap for hanging or dragging (dragging not recommended). The Attivo is built with durable fabric and weighs 830 grams (1lb 13oz). Put your skis in, zip up, and carry on with your life. Could I get a pair of downhill skis (Stockli 159 cm) plus skimo skis (Fischer 150 cm) in this bag? HI Barbara, there is enough room for two pairs of thinner skis in this bag.